Meijer: Mazola Oil for less than $1! 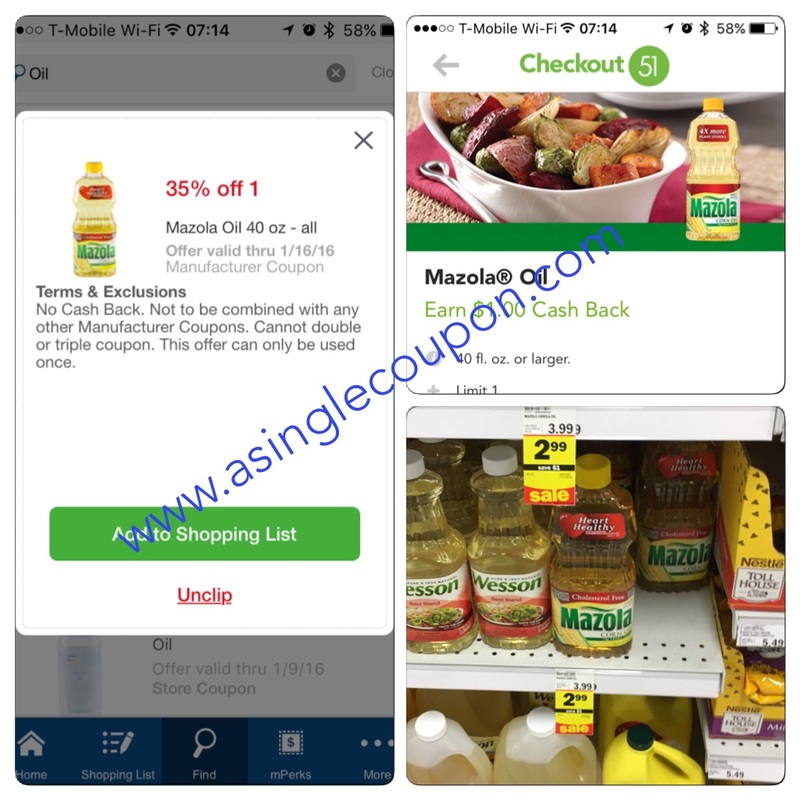 This Week at Meijer Mazola oil, 40oz is on sale $2.99! There is an mPerks coupon and a rebate to make them SUPER cheap this week. Cannot beat that price! Unfortunately the Checkout 51 rebate and mPerks coupon is valid on 1 item. Cannot beat that price! Unfortunately the Checkout 51 rebate and mPerks coupon is valid on 1 item.